Forewarned is forearmed. If you are going into a battle, you better know what your rivals’ are up to, unless you have a death wish. Same applies in the B2B online industry: you simply can’t ignore your competition. As much as you would like to single-handedly dominate your market, there are other committed marketing professionals who are doing something right for their clients. So why not learn from their mistakes and successes? Sneaking up and spying on your competition could be tricky. But fare not, there are specialized online tools for competitors research that will allow you to keep a close watch on competitors from the safety of your office. SpyFu: One of our favorites, SpyFu is a great tool to learn what your competitors are up to. Enter your competitor’s domain address and behold the extensive data you will receive. You can see every place your competitor appeared on Google in the last nine years: every keyword they've bought on Adwords, every organic rank, and every ad variation. 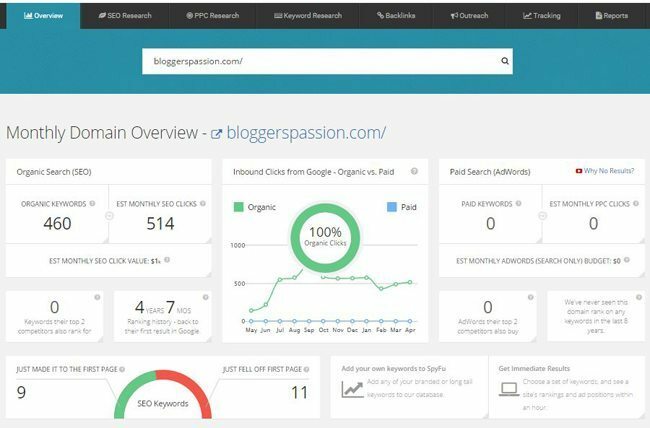 This SEM and SEO tool should be used in collaboration with Google AdWords Keyword Planner, which gives historical insight into which keywords have worked and haven’t worked for them. 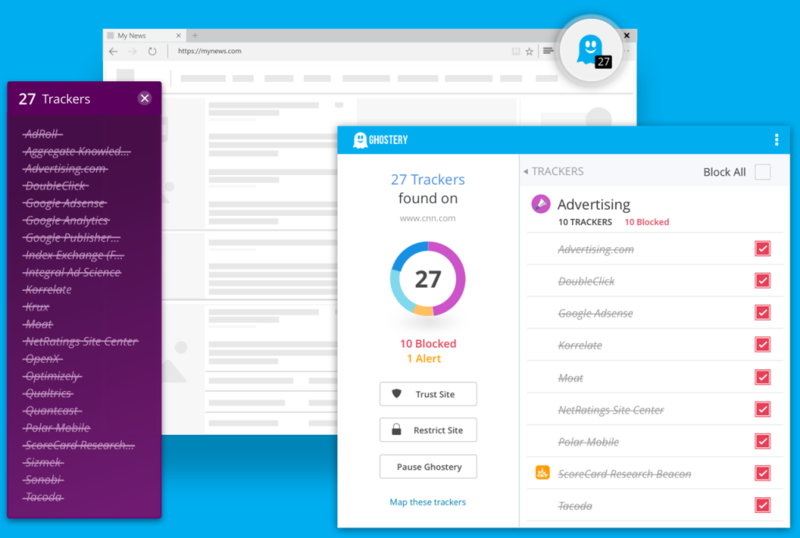 Ghostery: This Chrome extension is very handy when it comes to finding out which tracking tools your competitors use to attract, engage and convert site visitors. Compare this information to the tools you use to better understand your comparative strengths and weaknesses and improve your site’s performance. 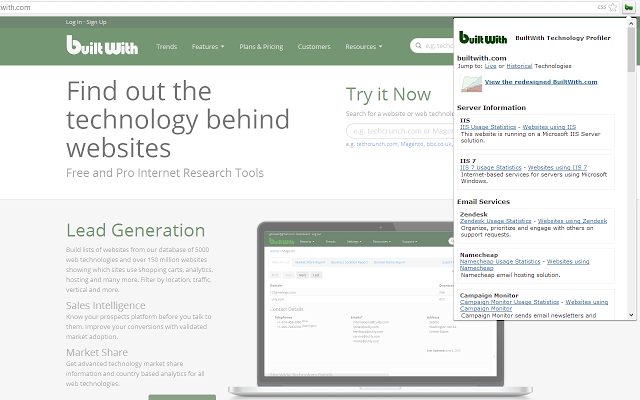 BuiltWith extension - BuiltWith is a web site profiler tool that allows you to easily find out which technologies your competitors are using on their website. The data of a particular interest for marketers includes statistics on usage of marketing automation and A/B testing technologies. SimilarWeb: There’s nothing like the power of raw data, and this spy tool relays your competitors’ website traffic statistics in sharp detail. 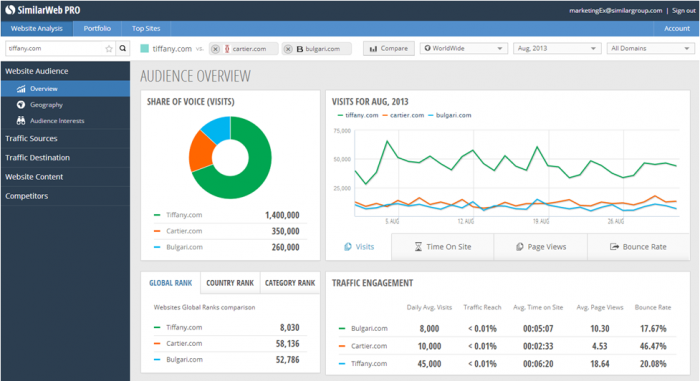 Probably the best web measurement tool aimed at online marketing professionals, SimilarWeb is unparalleled when it comes to measuring your competitor online activity, benchmark your traffic against them, and discover new opportunities. Gauge your competitors online marketing strategies and tactics as well as their on-site performance. 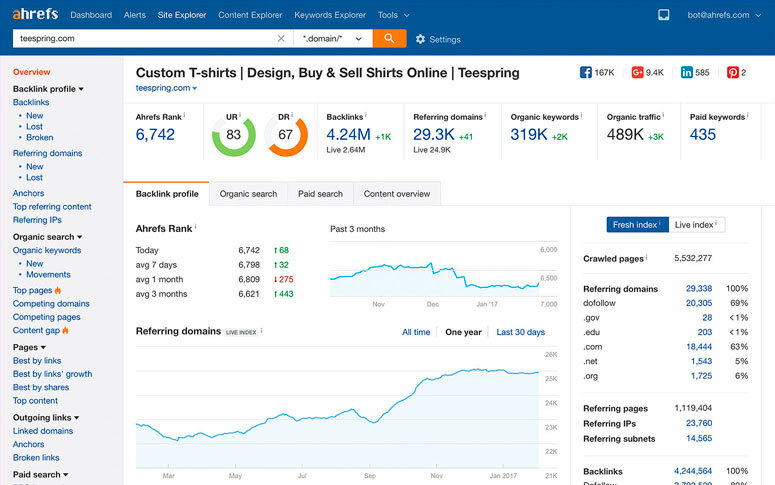 SimilarWeb helps you decipher what works for your competitors, what doesn’t and, most importantly, identify missed opportunities. Google Alerts: A staple in online marketers’ arsenal, this handy tool does deserve a special mention. Simply request alerts on the company names, products and people of the competition and Google will send you an email alert any time they appear on the Web. AdEspresso: This tool offers a large collection of Facebook advertisements. Look around and draw lessons from the ads that work. Why not increase effectiveness of your Facebook Ads with less trial and error by learning from your competitors wins and fails? SEMrush Extension and web version - SEMRush is one of the top ranking tools that offers a balanced set of SEO tools to support ongoing SEO and SEM efforts. This includes monitoring keyword performance, both organic and paid, and a detailed report on where you stand compared to your competition. 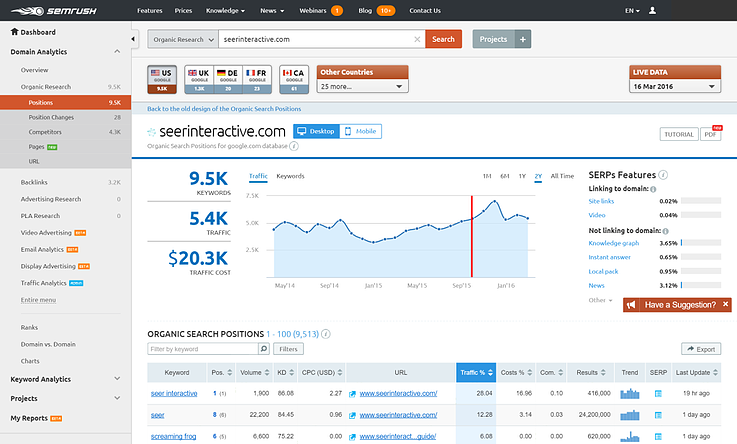 Ahref - In addition to showing the exact keywords that your competitors are organically ranking for and how much traffic they get, you can research what content in your niche attracts backlinks and social shares and adjust your content strategy accordingly. Monitor competitors content and its success (or the lack thereof) and adjust your own strategy accordingly. Some of these tools cost nothing at all. Others are free during a trial period; test them and determine if they’re worth the eventual cost. We recommend trying them all. 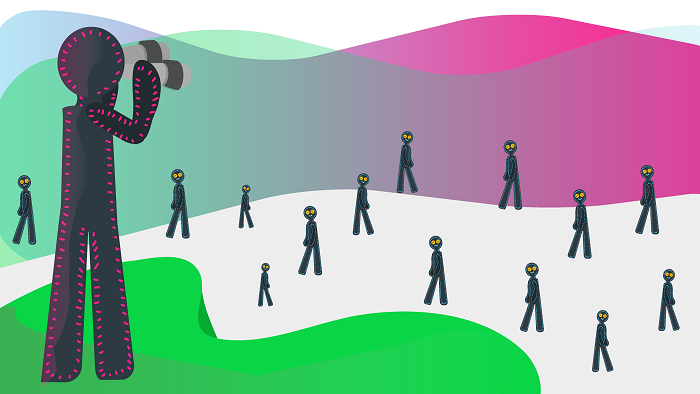 Try these top 9 tools to spy on your online competitors and you’ll be surprised of the amount of data there’s out there to discover.